Our bodies and brains are built to deal with trauma over a period of weeks, slowly bleeding off the anxiety, emotional strain, and physical reaction to emotional and psychological traumas. However, there are times when we are unable to effectively process our trauma, for instance, when our traumas come too close together (i.e. several losses in a short period of time, or physical traumas such as surgery or injury combined with emotional traumas like loss or a threat to safety and health) or when we are too busy handling the aftermath of a trauma to allow ourselves time to grieve and emotionally process what has happened. When we are unable to effectively process our trauma, the trauma can begin to express itself in unexplained and repeated illness, disturbed sleep, in emotional outbursts, or in the symptoms of Post-Traumatic Stress Disorder. At times like this, it is best to seek professional help to process your trauma and move beyond its effects. I am a level two EMDR practitioner, trained to help you process unresolved traumas that have left you with somatic complaints (unexplained illness, body aches, pain that cannot be relieved, headaches, etc.) or with the symptoms of PTSD. I will fully explain the process of EMDR to you before we begin, and you will be in control of the process so that your treatment meets your needs and helps you overcome the traumas that are impacting your daily life. Because some traumas are from childhood years and are not accurately remembered, it is important to know that the exact details of your trauma are not as important as your impressions of what happened. Accurate details are not necessary to fully process your trauma and move you beyond its negative impact on your life. These links can give you additional information about emotional and psychological trauma. Feel free to explore these links and contact me for treatment or additional information. 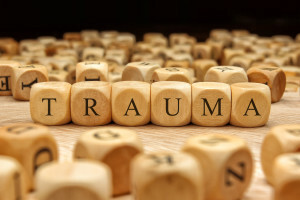 This page covers the many aspects of emotional and psychological trauma and the treatments available for those who are dealing with it. This page covers different types of traumas and provides resources for parents who need to help their child through a trauma. This page links to a number of resources, including the stories of those who got past their trauma and different treatment styles.